Tippy I is a musician, producer, audio engineer, and co-owner of I Grade Records in St. Croix. Dub music is known in part for its unique implementation of delays and other audio effects, and the sound of dub on the island of St. Croix is heavily influenced by Tippy I and his arsenal of Soundtoys plug-ins. Since launching I Grade Records in 2001 Tippy I has produced, recorded and mixed over 30 albums with a range of roots reggae artists including Midnite, Pressure, Lutan Fyah, Dezarie, Niyorah, Perfect Giddimani, Glen Washington, Cornel Campbell, Toussaint, Danny I, Army, Abja and many others. 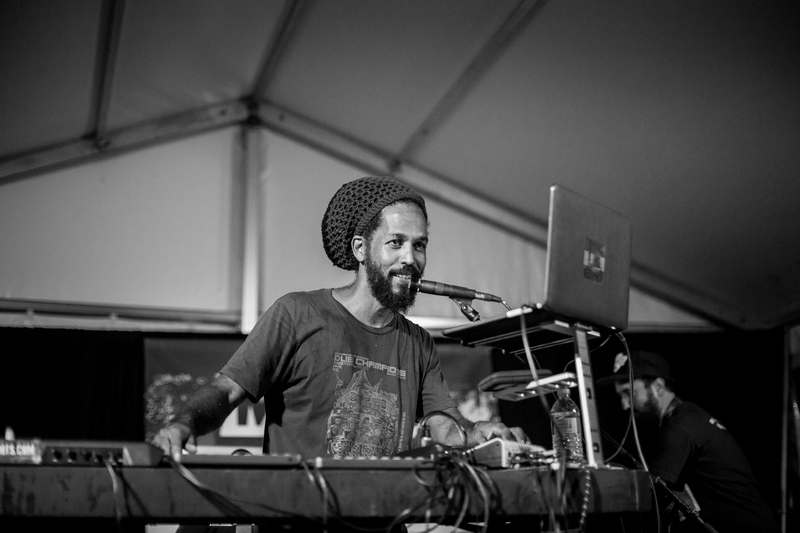 The current headquarters for Tippy I’s audio work is Aqua Sounds Studio in St. Croix, where he serves as head engineer and operates I Grade Studio out of Studio B. Tippy I also performs his live dub mixes around the world through his recently launched live dub sound system, I Grade Dub. While he is most known for his work in the reggae genre, Tippy I is also a composer/producer of a wide range of musical creations, from hip hop to soul to film scores. While based in Brooklyn NYC before relocating back to his home in St. Croix in 2005, he was a member of the Downbeat Production Collective that produced several notable hip hop songs including “Hell Yeah” by dead prez feat. Jay-Z and “Ridin'” by David Banner feat. dead prez and Talib Kweli. More recently, Zion I Kings – a collective of the producers of I Grade Records, Zion High Productions and Lustre Kings Productions – has developed a powerful new sound that has the feel of classic roots, but with a cutting edge HD quality and progressive creativity. You can read more about Tippy I and I Grade Dub on their website and Facebook page.